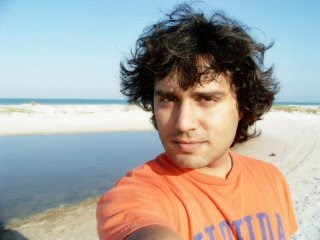 and would like to share more of our learnings in a brief series of follow up blog posts. The HTML5 draft adds a lot of exciting functionality to browsers. Perhaps the most exciting is adding a way for websites to be launched offline. For devices that have a high bandwidth and highly available connection, offline functionality might not be so important. For web applications running on mobile devices however, being able to launch offline can dramatically improve the web application experience. AppCache support on the iPhone is still under development, but as of firmware 2.2.1, it is usable. To make use of AppCache, a webpage must provide a "manifest" to the browser that lists all of the URLs that it intends to use. 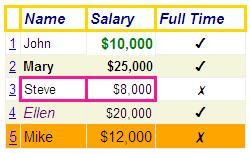 Creating an HTML5 manifest file is extremely simple, as shown by the following example. Finally, the manifest must be served using the content type "text/cache-manifest". And that's it! So now that you know how to create a manifest for your site, it's a good idea to know what's going on during page load. When the page is loaded for the first time, it will load as if there is no application cache associated with it. Once it has finished loading, the browser will fetch the manifest and all resources listed in it that have not already been fetched during page load. From this point on, any GET request that your page makes that is not listed in the manifest will fail, and any GET request that is listed in it will not hit the network, but will be satisfied by the cache. Once your page is loaded into AppCache, the next time the user loads the site, all of the resources will be served out of the cache. The only GET request done on page load will be for the manifest file, in order to see if it has changed. If it has changed, then all of the resources in it are fetched in the background and will be used the next time the user refreshes the page. Stay tuned for the next post where we will share more about what we know about AppCache and how we use it on the Gmail team. Also, we'll be at Google I/O, May 27-28 in San Francisco presenting a session on how we use HTML5. We'll also be available at the Developer Sandbox, and we look forward to meeting you in person. On April 7th, Google launched a new version of Gmail for mobile for iPhone and Android-powered devices built on HTML5. We shared the behind-the-scenes story through this blog and would like to share more of our learnings in a brief series of follow up blog posts. is about charts and visualizations, so we try to push out new features and options to our growing list of charts every several weeks or so. The popular Motion Chart has become even more interactive and appealing, now with zoom option, bars, and an option to save and restore the chart state. Check out our What's New page from time to time to see other new features we've added to the API. At the upcoming Google I/O developer conference, we'll give in-depth sessions on creating Visualization API data sources, using the Visualization API with GWT, and more. We look forwarding to seeing you there! The Visualization API is about charts and visualizations, so we try to push out new features and options to our growing list of charts every several weeks or so. 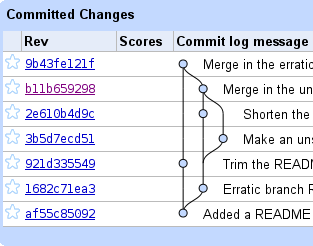 version control system in addition to Subversion. This is being initially rolled out as a preview release to a few invited users on a per-project basis, so that we can iron out the kinks before making this available to the general public. Mercurial, like Git and Bazaar, is a distributed version control system (DVCS) that enables developers to work offline and define more complex workflows such as peer-to-peer pushing/pulling of code. It also makes it easier for outside contributors to contribute to projects, as cloning and merging of remote repositories is really easy. While there were several DVCSs that we could support, our decision to support Mercurial was based on two key reasons. The primary reason was to support our large base of existing Subversion users that want to use a distributed version control system. For these users we felt that Mercurial had the lowest barrier to adoption because of its similar command set, great documentation (including a great online book), and excellent tools such as Tortoise Hg. Second, given that Google Code's infrastructure is built for HTTP-based services, we found that Mercurial had the best protocol and performance characteristics for HTTP support. For more information, see our analysis. If you would like to help us launch Mercurial and to try out the features as an invited user, please fill out the following form. We are currently looking for active projects with more than two users that are willing to try out Mercurial and work with us to identify issues and resolve them. 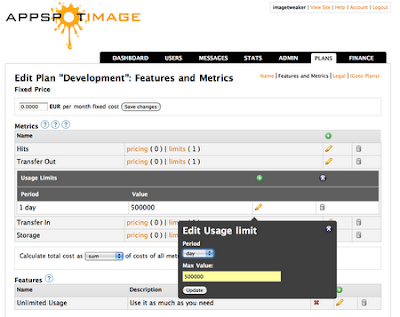 For projects that plan on migrating from Subversion, see our conversion docs for the steps required for this process. Our implementation of Mercurial is built on top of Bigtable, making it extremely scalable and reliable just like our Subversion on Bigtable implementation. For more information on our Mercurial implementation, we will have a TechTalk at Google IO that will be led by Jacob Lee, one of the core engineers working on Mercurial support. Let us know if you plan on attending and we'll give you access to Mercurial ahead of the talk. We are happy to announce that Project Hosting on Google Code now supports the Mercurial version control system in addition to Subversion. This is being initially rolled out as a preview release to a few invited users on a per-project basis, so that we can iron out the kinks before making this available to the general public. In May, we're going to feature Chrome Experiments during Google I/O, our largest developer event (May 27 - 28), as well as on the Google Code blog. , which also included a Google plugin for Eclipse and integration with App Engine's Java language support. Google I/O will be rich with GWT content, including a number of sessions on improving productivity and app performance with GWT. In addition, there will be a number of external GWT developers leading some of these sessions and/or part of the Developer Sandbox. Attention Developers: Google Analytics now has an API! The Analytics API will allow developers to extend Google Analytics in new and creative ways that benefit developers, organizations and end users. Large organizations and agencies now have a standardized platform for integrating Analytics data with other business data. Developers can integrate Google Analytics into their existing products and create standalone Google Analytics applications. Users could see snapshots of their Analytics data in developer created dashboards and gadgets. For example, how would you like to access Google Analytics from your phone? Now you can, with this Android application from Actual Metrics. How about accessing Analytics from your desktop? It's here from Desktop-Reporting. We made the API very easy to use. First, there are no complicated developer tokens, you only need to request an authentication token. 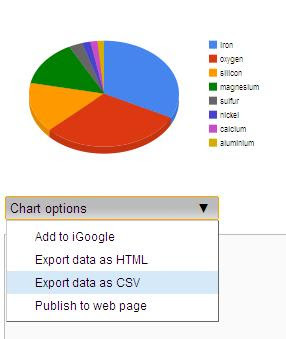 Second the Analytics Export API is free and available for all Google Analytics users. The Analytics API is a GData API which is based on the Atom 1.0 and RSS 2.0 syndication formats. This is the same API protocol for Google Calendar, Finance and Webmaster Tools. If you've used any of these APIs in the past, the Analytics Export API will look very familiar to you. Currently the Google Analytics API supports two GData feeds: an Account Feed (which lists all the Google Analytics accounts and profiles you have access to) and a Data Feed (which allows access to all the data available through the GA interface). The Analytics data feed is very powerful and allows you to query which GA dimensions and metrics you want to access, for a specified date range and even across a subset of data. What are the top referral sources by conversions to my site? What are the top browser language settings in the United States vs. the United Kingdom? What are the top keyword refinements and destination pages being used on my internal site search? Finally, you'll want to become a part of the Google Analytics Developer community by joining the Google Analytics APIs Group for developers. This user forum is a great way to share ideas and get feedback from other developers. We also check in on these forums so let us know what you think about the API there, and share your ideas and your applications with us. We look forward to seeing your creativity! 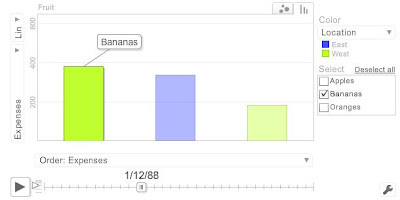 Today we are pleased to announce the launch the Google Analytics Data Export API. This new API is being launched in Labs and is available to all Analytics users. If you haven't already heard, Google Analytics, is a free, powerful web analytics tool that provides a wealth of data about how visitors find your website, where they go and if they turn into customers. So what's so exciting about this API? , we announced our plans to contribute our technology and web development expertise to the discussions about 3D for the web within Khronos and the broader developer community.
. Today's post is a guest post written by Steven Willmott of 3scale. Public APIs are a great way to share data and functionality, both for existing applications and as useful resources in their own right. Google Maps, Calendar and many other APIs lead the way in this and are now powering tens of thousands of sites and applications. Flickr, Twitter and others also provide great data and functionality which can be used to enhance and build new applications. First we set up a standard App Engine account giving us the standard dashboard and deployment environment. This provides the runtime environment plus a range of tools to monitor the application - all useful to track resource usage which we'll need to worry about later. The service itself in this case is a simple wrap of wrapping App Engine's available image manipulation features which provide standard image manipulation features, but it could easily be more complex. Next up, the functionality is wrapped in a simple RESTful interface. There are multiple ways to do this, libraries such as the App Engine Rest Server and the Django rest interface or a port of the Ning-like REST interface can be used to do most of the heavy lifting. Gae-Rest for example includes indexes and memcache and other features to optimise response times on the API. These give the API standard GET, POST, PUT, DELETE operations we'll need to push images in and out of the application. The service can now take advantage of App Engine's scalability - even under the constraints of the plan, your API should comfortably serve up 500,000 - 1 Million hits per day (although note that you need to check other resource limits - not just hits) which would be non-trivial to arrange and potentially high cost on a lot of existing hosting services. If you're serving traffic from appspot.com (for appspotimage we serve the management interface from appspotimage.com and the API traffic from appspot.com) response times from App Engine tend to be very fast (sub 10ms if you're on the west coast US) - which is great for API users. Although backend APIs are not quite as visible as a new Android or iPhone App, they often provide a great resource and hopefully we'll see more and more datasets and new types of processing on line as APIs. You can find the service itself here along with a longer tutorial on how we built it. Stay posted for some other services coming soon, as we start to play around with Java language support on App Engine. We'll be at Google I/O on May 27-28 and look forward to talking APIs and App Engine, so stop by the Developer Sandbox. See you there! This post is part of the Who's @ Google I/O, a series of blog posts that give a closer look at developers who'll be speaking or demoing at Google I/O. Today's post is a guest post written by Steven Willmott of 3scale. , Japanese (日本語) , Portuguese (Português) , Russian (Pусский) , and Spanish (Español). You didn't think we were done, did you? Today, we're happy to add Korean (한국어) and Traditional Chinese (中文[繁體]) to that list. We've translated the site directory and top-level site pages, and from now on, you'll find those languages in the drop-down language selector at the top of the page header on code.google.com. For Korean, you can now find full developer guide translations for OpenSocial API, Gadgets API, Themes API, and Adwords API. We have some API guides coming soon in Traditional Chinese, but unfortunately you'll have to guess which ones while we finish putting the final touches on those translations. If you're interested in hearing about new translations in these languages, you might want to subscribe to the APAC Developer Blog for updates as we add more content. Good code is a universal language, spoken by developers all over the world. We don't think you should have to read English to build a great app. 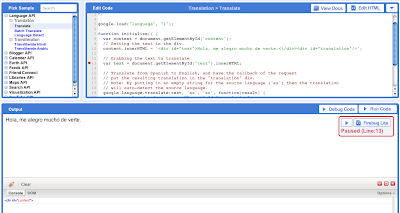 Last April, we started providing translations of code.google.com pages in five languages: Simplified Chinese (中文[简体]) , Japanese (日本語) , Portuguese (Português) , Russian (Pусский) , and Spanish (Español). You didn't think we were done, did you?
. As we mentioned in March when we introduced Labs, each of these deprecation policies states that we'll support each version of the API for a guaranteed length of time from when it's deprecated or a newer version is introduced. While it's 3 years for most, it might be less for some. With this batch of updates, for example, the Checkout API has a policy of supporting old versions for 1 year while all of the others will support old versions for 3 years.
. One sentence in particular jumped out at me: "...I would never again feel compelled to build an [Object-Relational] Mapping framework in Java." Well, friends, never say never. Now that we've unveiled an early look at Java support for Google App Engine, I'm thrilled to announce the availability of a JDO and JPA implementation for the App Engine datastore under the Apache 2 open source license. The App Engine datastore is an incredible piece of technology. Based on Google's own Bigtable, it's one of the key reasons App Engine enables developers to write web applications that scale without infrastructure headaches. But, it isn't necessarily what most of us are accustomed to using for persistence. Wouldn't it be lovely if we could use an existing programming model on top of the datastore API? And wouldn't it be even lovelier if that existing programming model simplified the process of porting web applications on and off App Engine? Fortunately for us Java developers we have not one, but two persistence standards at our disposal, JDO and JPA. And, to make adopting these persistence standards easier, we have the DataNucleus project (formerly JPOX), which provides plugins that connect these standards to various types of datasources. Andy Jefferson, founder of the DataNucleus project, was not only enthusiastic about our effort to add an App Engine plugin to his project, he was also incredibly helpful (thanks Andy!). I hope you're as excited about the results as I am: Standards-based persistence for the App Engine datastore! Since App Engine for Python launched almost a year ago I've admired not just the applications that have been built by the developer community but the infrastructure as well. Even though the DataNucleus App Engine plugin was developed by Googlers, it uses the public App Engine APIs that are available to everyone. It uses no backdoors or special privileges. Rather, it is merely the first instance of what I hope will be a torrent of Java infrastructure developed for App Engine for Java. Feel free to peruse the code at http://code.google.com/p/datanucleus-appengine. If you find a bug, send us a patch. And if you think you can do better, do better! There's absolutely nothing stopping you. When I sat down to write this post I decided to glance back at my last post on this blog. One sentence in particular jumped out at me: "...I would never again feel compelled to build an [Object-Relational] Mapping framework in Java." Well, friends, never say never. Now that we've unveiled an early look at Java support for Google App Engine, I'm thrilled to announce the availability of a JDO and JPA implementation for the App Engine datastore under the Apache 2 open source license. , a set of one-day developer events, are returning again and will take place in various locations around the globe. Like last year, we've designed these events for developers with strong coding experience so we can discuss our APIs, developer tools and applications. If you're based in the US, we encourage you to come to Google I/O, on May 27-28 in San Francisco. At Google Developer Day, attendees will learn about Google developer products from the engineers who built them. They will share their inside knowledge on our developer tools and APIs, including Android, Chrome, Ajax APIs , GWT, and App Engine. We will also do deep dives into our products at "office hours," during which developers can bring their own snippets of code or specific product questions to the Google engineers behind the product. We've posted detailed information for China and will be adding more information for other locations soon. Space is limited so make sure you sign-up early. Hope to see you there! Google Developer Days 2009, a set of one-day developer events, are returning again and will take place in various locations around the globe. Like last year, we've designed these events for developers with strong coding experience so we can discuss our APIs, developer tools and applications.